A new report has found if more children were enrolled in Medicaid in Southwest Colorado, it could bolster the number of children receiving required vaccinations. “When the vaccination rate drops too low, our most vulnerable community members are susceptible to catching very deadly diseases,” she said. Sixteen of Colorado’s 64 counties achieved an immunization rate of between 96.3 percent and 98.9 percent among school children – the highest in the state, according to the report. The state of Colorado requires students to be vaccinated for diseases, such as mumps, measles, polio, pertussis (also known as whooping cough), among others, before they enroll in day care or public school. However, parents may exempt their children from immunization based on medical needs, or religious and personal beliefs. Some children are unable to receive vaccinations because of allergies, immune system conditions or other medical reasons. However, those children likely account for only 1 percent of those not receiving vaccinations, Cataldi said. Personal beliefs account for some guardians exempting children from vaccinations, however the report focused on access to vaccinations as an important factor contributing to lower levels of immunization in Southwest Colorado. Increasing the number of children who are eligible for Medicaid but not enrolled could help bolster immunization rates in Southwest Colorado, the report found. It is also possible school districts in Southwest Colorado have trouble keeping up with the state’s reporting requirements for immunizations, Cataldi said. Archuleta County may be seeing lower vaccination rates because it has fewer health care providers and limited access to pediatricians, Switzer said. When children contract vaccine-preventable diseases, it can be costly. In 2017, more than 9,100 children in Colorado visited the hospital or emergency room because of a vaccine-preventable disease, adding up to $55 million in costs, according to the report. The flu was responsible for $42 million of those costs. Flu vaccines are not required by the state, but they are recommended by public health agencies, Cataldi said. The report also found the percentage of young children 19 to 35 months in Colorado who received all recommended vaccinations declined from 76.4 percent in 2016 to 71 percent in 2017. 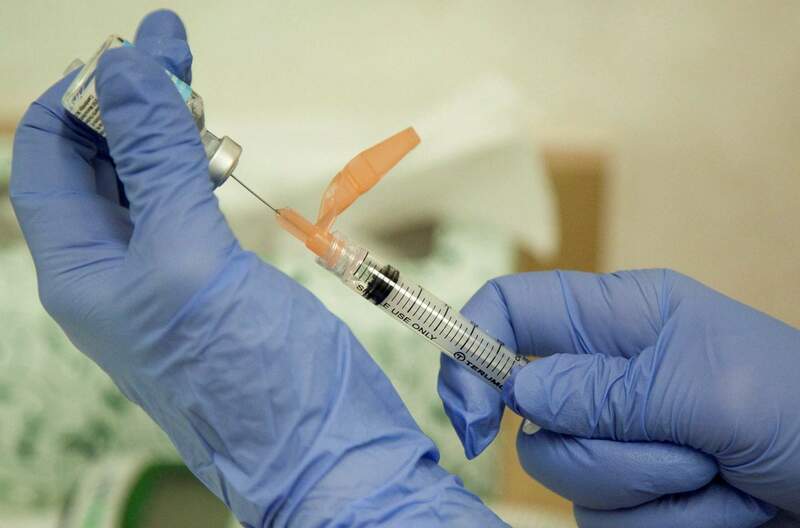 Some parents may be delaying their children’s vaccinations because they believe their child is too young or receiving too many vaccinations at once, Cataldi said. But delaying vaccinations can leave children at risk for disease, she said. School district specific data from the 2017-18 school year reveals the highest immunization rates in La Plata County are among students in Ignacio schools, according to Colorado Department of Public Health and Environment. In Durango School District 9-R and the Bayfield School District the fully immunized rate for each required vaccine is more than 90 percent, according to state data. In the Ignacio School District no fewer than 92 percent of students had received each vaccine, according to state data. In the Durango School District, personal beliefs were cited as the reason for opting students out of vaccinations in about 98 percent of the cases. In Bayfield, personal beliefs were cited in about 89 percent of exemptions. In Ignacio, personal beliefs were cited in about 75 percent of cases. Those interested in checking the immunization rates in individual schools can check a map produced by CDPHE by visiting https://bit.ly/2BnLXhb. Vaccines are always available at San Juan Basin Public Health for residents who qualify through the Vaccines for Children program.